ProForm Smart Strider 535 burns more calories and engages your entire body. 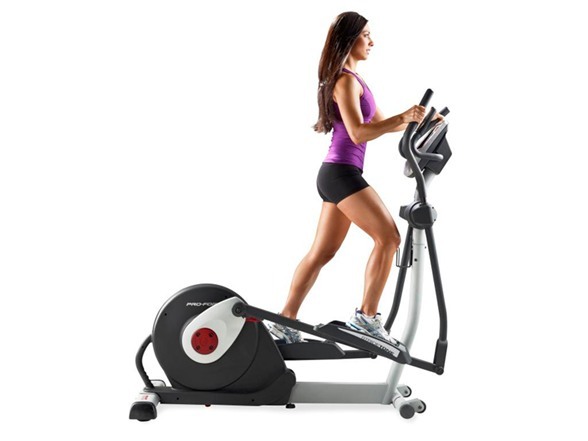 The elliptical comes with 18 digital resistance level amd 18 different preset programs. Constructed with commercial-grade solid steel, Smart Strider 535 has a large LCD display monitor, that keeps on displaying your workout progress. Stride Length Levels : 18"
Max User Weight: 274 lbs. *Note: Most of the sites, stores or shopping portals listed above sell ProForm Smart Strider 535 with discounts and other exciting offers. There is a possibility that the some of above websites are not selling ProForm Smart Strider 535 now. Toughtrain.com is not liable for such cases or instances. Also we do not recommend any seller for ProForm Smart Strider 535 and a buyer should buy from where he/she gets best deal with quality of products, service and on time delivery (shipment).